Retro-Raffle at RETROFAIRE: Win a Fender Vaporizer Guitar Amp! Where can I get a Raffle Ticket -- Downtown Sounds, 21 Pleasant Street, Northampton or email arts@northamptonma.gov or from one of our board members at Transperformance or at RETROFAIRE. 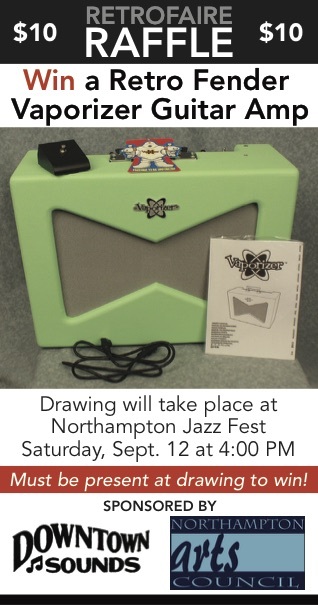 The Fender Vaporizer Amp can be yours for the cost of a $10.00 raffle ticket, and all raffle proceeds benefit the Northampton Arts Council’s BJ Goodwin Grant. Get your tickets at Downtown Sounds or online by clicking buy it now above. 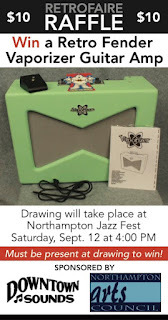 Then show up at the Northampton Jazzfest on September 12 for the live drawing. Your must be present at the time of drawing to win. 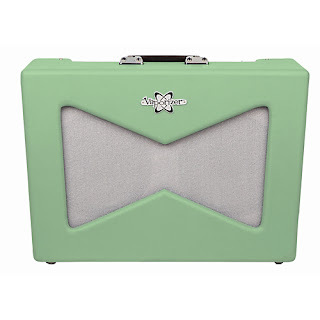 Featuring a mid-century bow-tie grille and bright retro colors, the Fender Vaporizer Amp is the kind of gem you’d expect to uncover in a dusty pawnshop. Surprisingly this amp is brand new and its’ style is surpassed only by its sound. 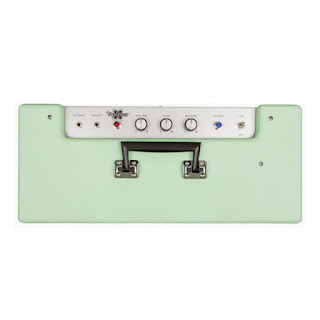 Two input jacks makes this amp equally equipped for playing Buddy Holly or The Ramones. If you want a psychedelic feel turn the reverb all the way up to produce far-out sounds worthy of the Vaporizer’s space age style. The Vaporizer hosts two inputs (normal and bright), simple controls for Volume, tone and reverb. These features makes this amp equally equipped for playing Buddy Holly or The Ramones. The reverb control creates full, wet reverb for moody "late-night" vibe and approximates the sound of playing in a tunnel, and the single-button "wedge" footswitch is used for selecting "vaporizer mode,” which bypasses volume and tone controls for full-strength overload.